Australian PR agency Communications Collective has been appointed by the City of Melbourne to manage the 2014 Smart Blocks campaign aimed at helping apartment owners improve energy efficiency. The local agency won the account through a competitive bidding process. Sources told PRWeek there were a number of national network agencies in the pitch, but Communications Collective, which specialises in property, design, lifestyle and B2B communications, won the contract. The firm now has the task of helping raise the profile of the Smart Blocks recruitment campaign within the city and enhancing Melbourne’s appeal as a ‘bold, sustainable and inspirational’ model of urban living. It is expected to be an integrated campaign consisting of digital, as well as traditional media. "Through digital and traditional channels we will share stories and showcase real examples of how the Smart Block program provides true benefits to apartment owners and the broader community," Genevieve Brannigan, Director of Communications Collective, told PRWeek. The digital strategy will be twofold. First, targeted web content will be placed on key resident and body corporate websites, news sites and blogs designed to provide a strong ‘call to action’. Second, a social-media strategy featuring an online influencer strategy and anchored via an official Smart Block Facebook page and Twitter channel will attempt to create online conversation and drive traffic back to the Smart Blocks site. The traditional media will target property titles, news and community publications, and trade press, as well as designing a direct mail campaign. Brannigan told PRWeek the agency's work will be measured on communications outcomes in four categories: media coverage, social media, website and number of "direct contact" with buildings. "An important KPI [key performance indicator] will be the number of articles published in the various media categories," she said. "The social media activities will be evaluated with social media measurement tools and for the website we will utilise Google Analytics." 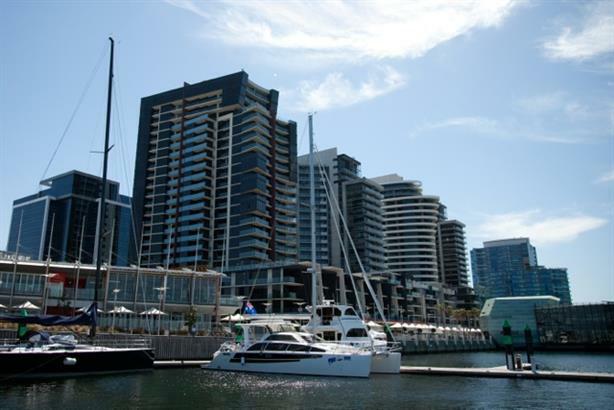 Melbourne is Australia’s fastest growing city. It has set for itself the goal of reaching zero net emissions by 2020. Another target is to reduce the carbon emission from the commercial sector by 25% and from the residential sector by 20% in the next five years. To achieve these targets the city introduced environmental standards to new buildings and upgrades for exiting ones. The commercial building sector currently generates over half of the city’s greenhouse gas. Smart blocks is part of a new national energy saving program in Australia that was developed in partnership between Strata Community Australia, City of Sydney, City of Melbourne, Owners Corporation Network of Australia and Green Strata.